District Cemeteries - San Diego County: Please call the closest cemetery to your home and ask if you are eligible for Interment services they provide. 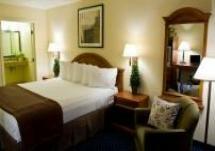 The Best Western Plus San Diego / Miramar is just 20 minutes from the airport. It services Downtown San Diego and North County. It is family friendly and there are many options for quick visits to many of San Diego’s many venues and its outstanding beauty. Nestled in the heart of Poway, the quaint hotel exudes minutes north of Downtown San Diego, it is ideal for those families wanting to be in the North County, yet only a few minutes away from downtown's many venues and its outstanding beauty.